When travelling through Vietnam and The Philippines for 6 weeks, chances are your accommodation is going to be eclectic. From hostels and homestays to boutique hotels and luxury resorts; we pretty much covered it all. 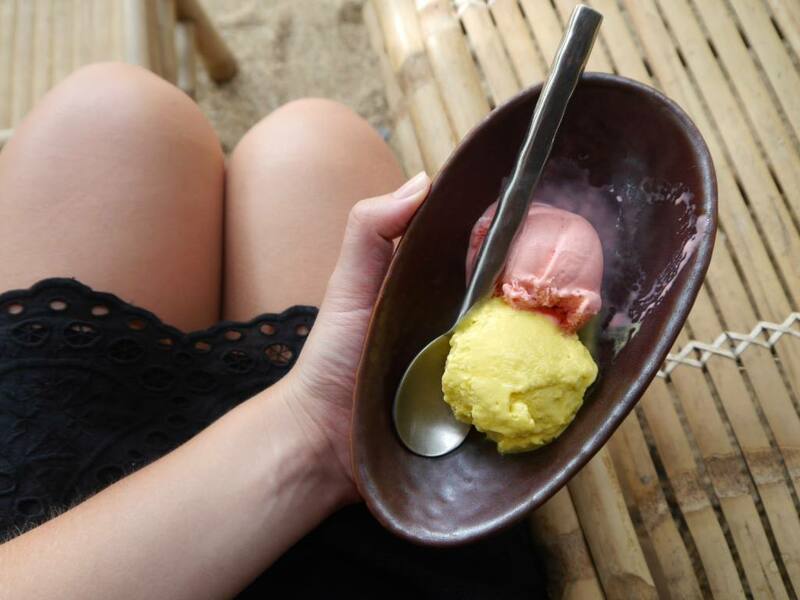 The majority of our accommodation was quite basic, but as a luxury travel blogger, my trip wouldn’t have been complete without sampling a little indulgence along the way. If you were to ask me to list the highlights of Vietnam, Nha Trang wouldn’t be one of them, but don’t let that put you off. 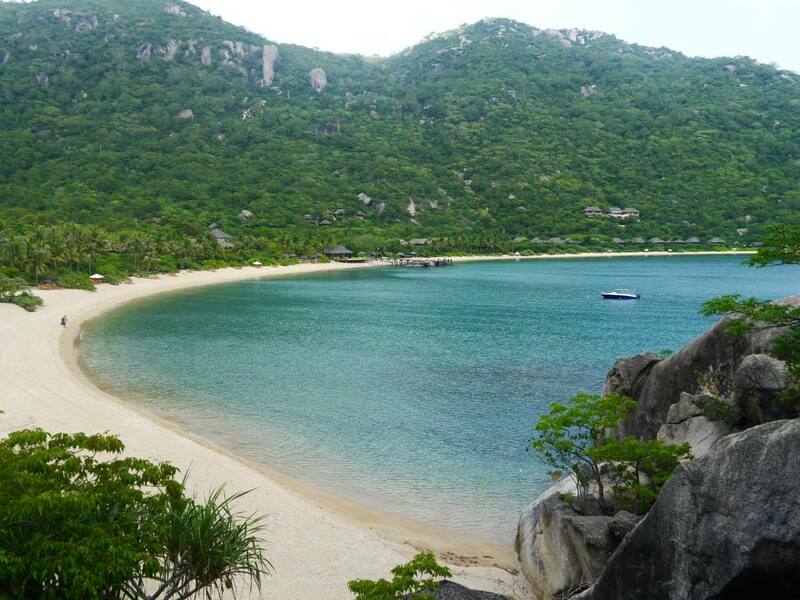 Six Senses Ninh Van Bay sit on the edge of a private peninsular and is in a location all on it’s own. 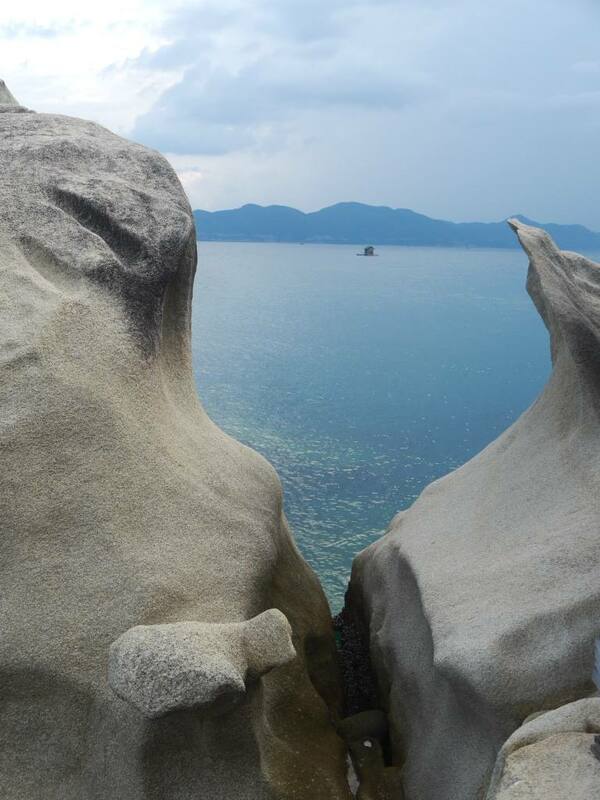 The resort is only accessible by water via on 20-minute speedboat ride from Nha Trang. This transfer service is available to all guests. After a bumpy night spent on an 8-hour night bus from Hoi An, we arrived in Nha Trang slightly dazed and dishevelled. 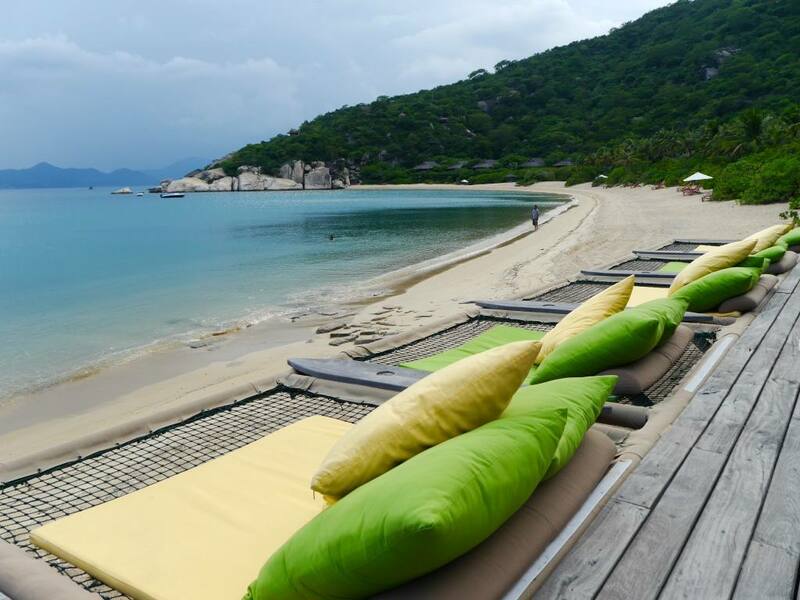 We were ahead of schedule, but our Six Senses transfer also arrived early to whisk us off to the resort’s private dock on the edge of Nha Trang. We were in much need of some luxury, which felt like it began from the moment we stepped inside the car. 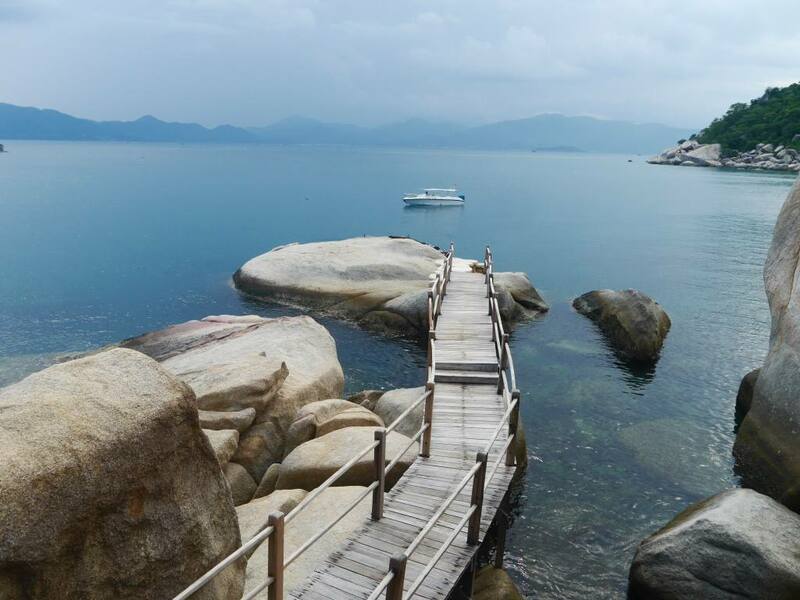 Smoothly gliding towards the Ninh Van Bay as the resort’s jetty gradually comes in to view is a moment to remember. 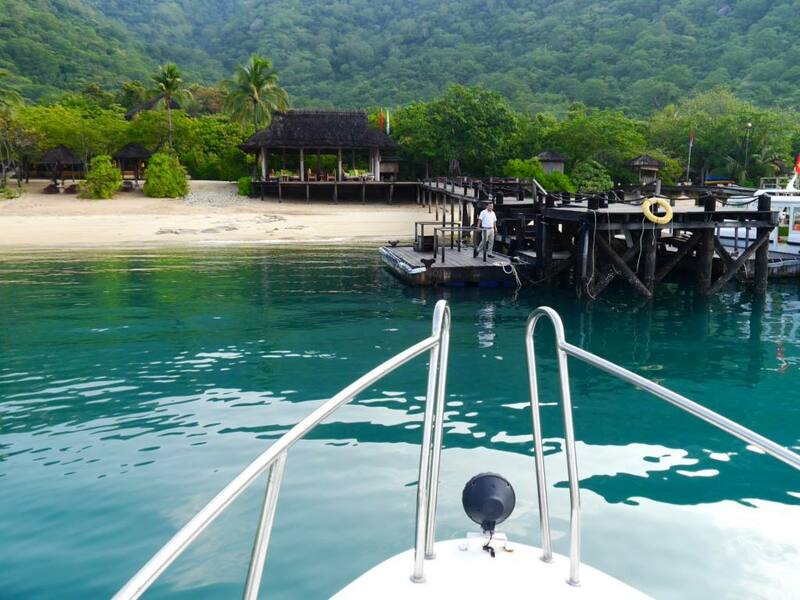 Arriving by boat gives you the perspective of how private and secluded the resort really is. Because of our overnight journey and early morning arrival, the first thing on our minds was breakfast. 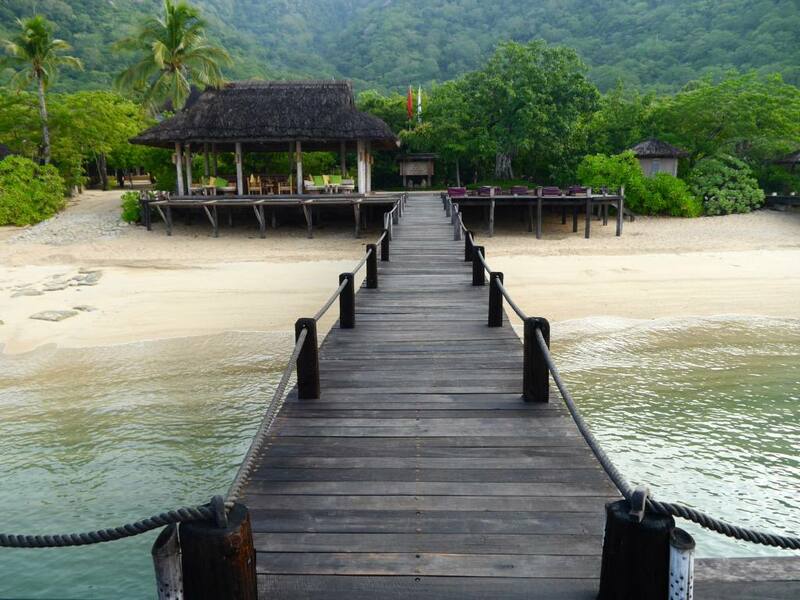 We were met on the Jetty by Hon, who explained he was to be our Guest Experience Manager (GEM) during our stay. 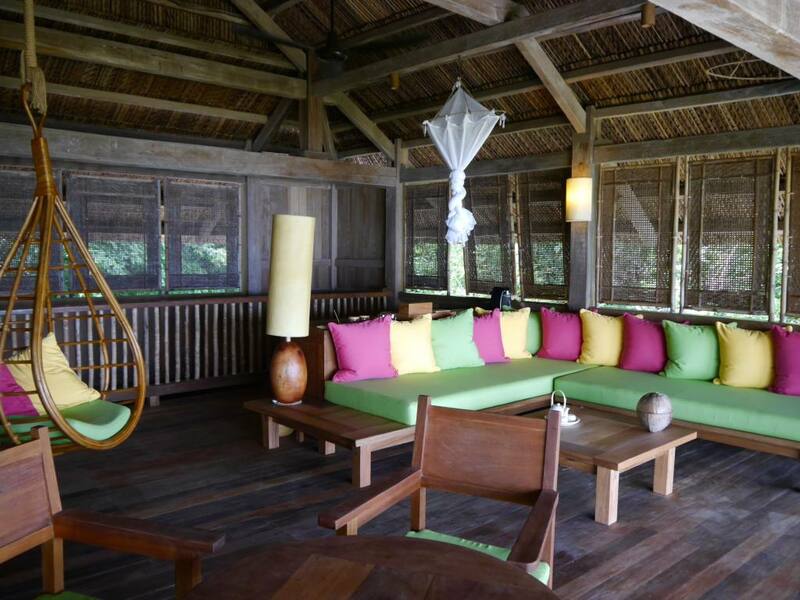 The GEM’s are Six Senses’ equivalent of a private butler, but they don’t use this term. Hon gave us a quick site tour of the central grounds before driving us to Dining By The Bay, the resort’s main restaurant where breakfast is served daily. Hon explained he was only a phone call away for anything we need during our stay, such as reservations, special requests, queries and transportation. 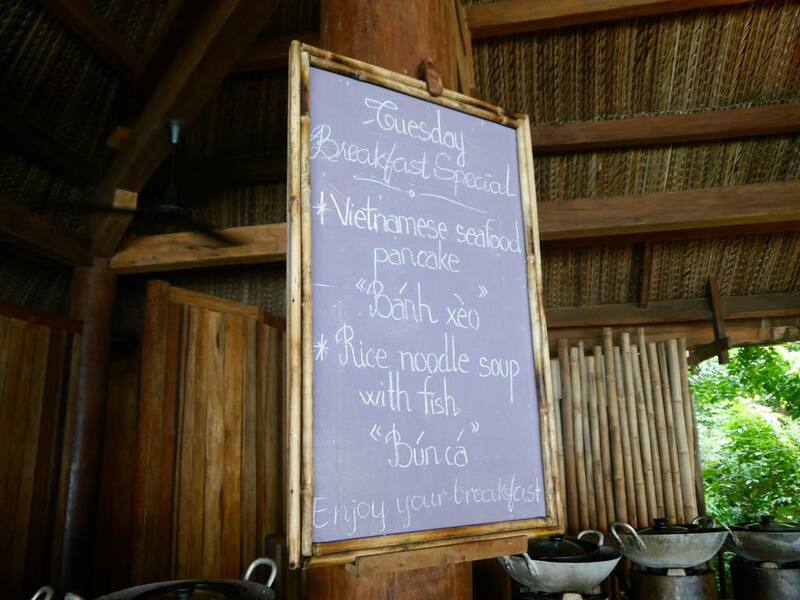 I’ve sampled many a breakfast buffet in my time, but nothing could have prepared me for the magnitude of Ninh Van Bay’s offering. 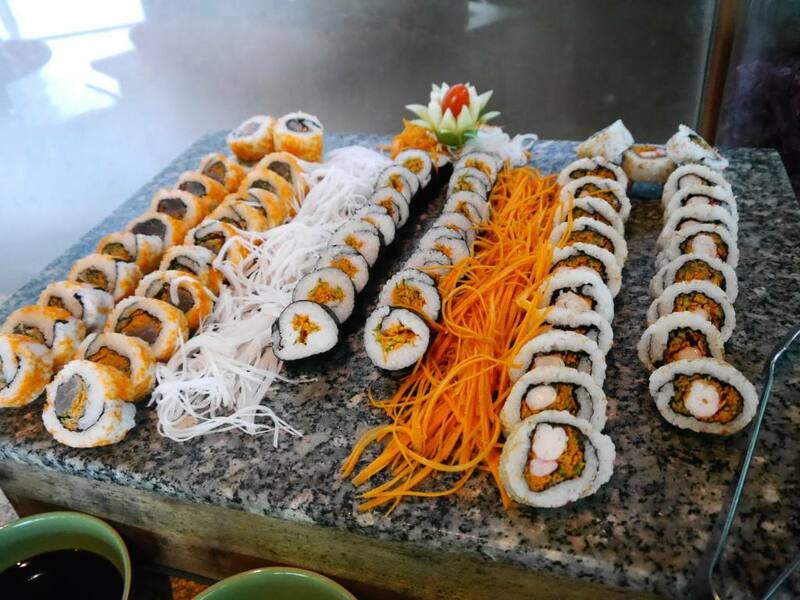 From a famous Full English to continental classics, pho to curry and dim sum to fresh sushi, the incredible spread caters to every breakfast preference around the world. Waffles, pancakes and eggs are skillfully made to order, and you can custom-design your own juices at the smoothie station. Choosing what to put on my plate first was the hardest decision I had to make that day. After the most relaxing (3 course) breakfast, it was time to check in. 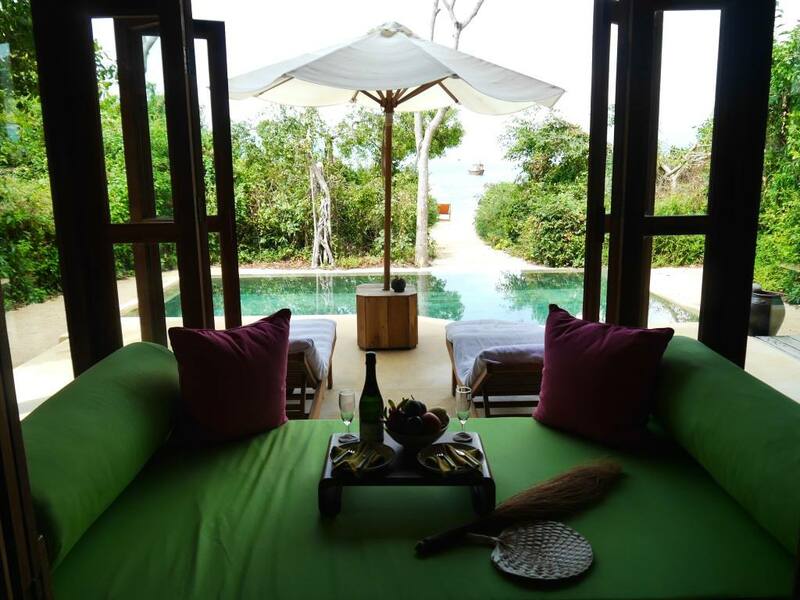 Six Senses Ninh Van Bay is a villa-only resort and there are 59 of them in total. 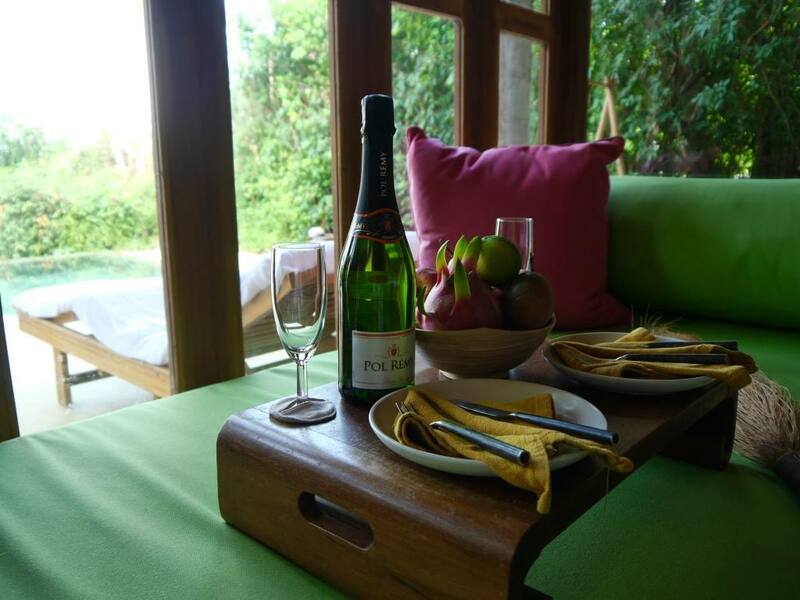 There are 4 main villa types to choose from; Hill Top Villa, Rock Pool Villa, Beach Villa and Water Villa. Kuoni had organised for us to stay in a Beach Villa, which was definitely the perfect option for us. 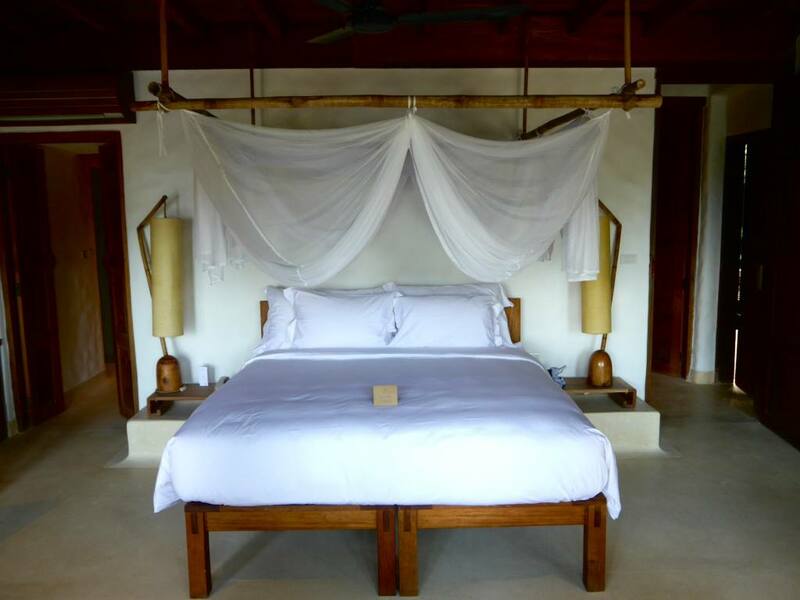 I was blown away by the size, design and quality of our beach villa and the attention to detail was the best I’ve ever experienced in a luxury resort. 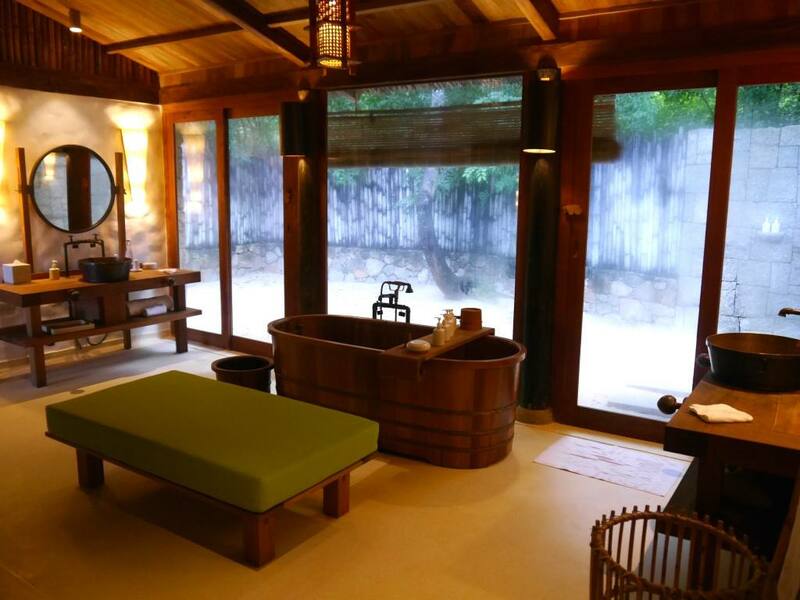 The duplex-style villa consisted of a large master bedroom with king size bed and sweeping views of the bay, a huge bathroom with a wooden tub and his and hers sinks, a private outdoor shower area, indoor shower and toilet. There was even a chilled bottle of bubbly waiting on the side for arrival, along with fresh fruits. 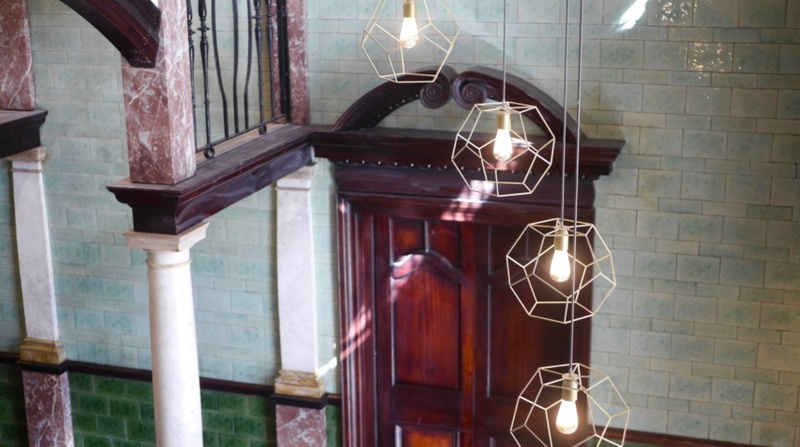 On the second floor was a large open-air living room with plush furnishings, mini bar and coffee making facilities (definitely the place to throw a party if you were entertaining guests). 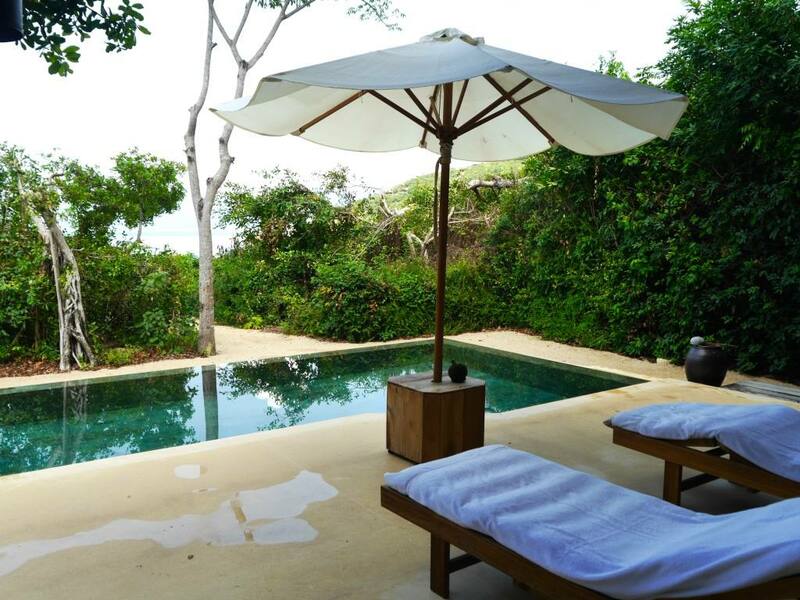 The best bit about our beach villa was the ultra chic private pool and outdoor area. Beyond the pool a narrow path lead the way right on to the beach. I couldn’t wait to wake up in the morning and jump straight into the ocean. After settling into our beautiful villa it was time to hit the beach and make the most of the inclusive water sports activities. 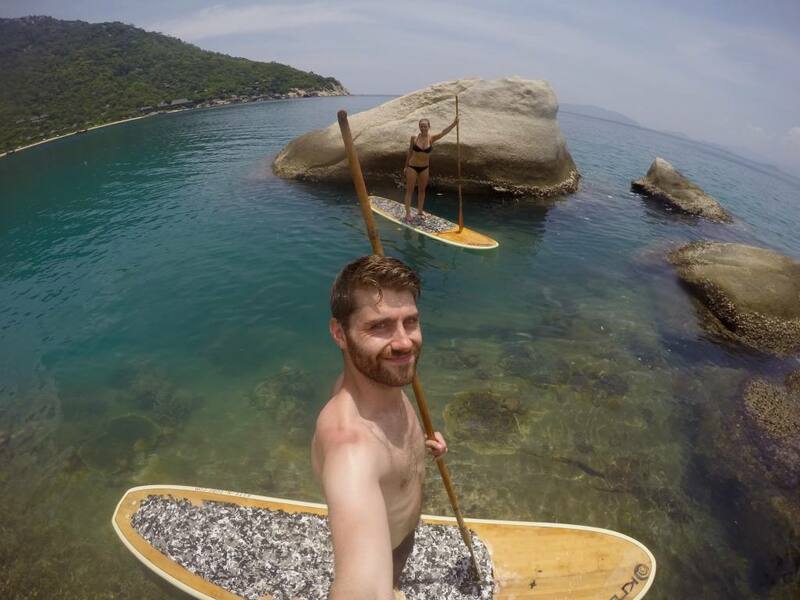 During our time at Six Senses Ninh Van Bay we went snorkelling, kayaking and SUP boarding (stand up paddle boarding). The water was perfectly clear and the bay’s coral barrier meant that marine life could be discovered a short swim from the beach. The fact that all of these activates were inclusive felt like a real bonus. A snorkelling route is mapped out on the beach to ensure guests can see the best part of the reef without damaging any of the coral. 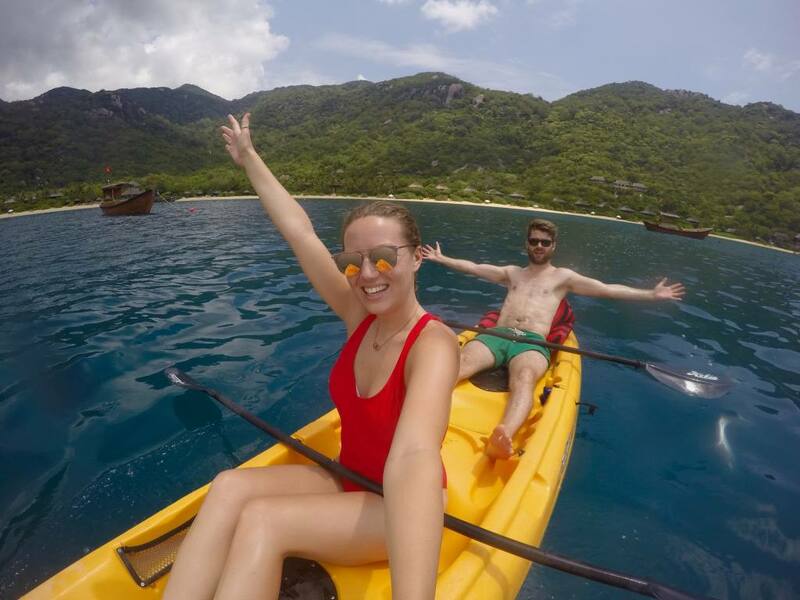 Access to all of these activities are available via the Discovery Centre, where I also learnt about the fantastic eco-friendly and sustainability programmes within the resort. 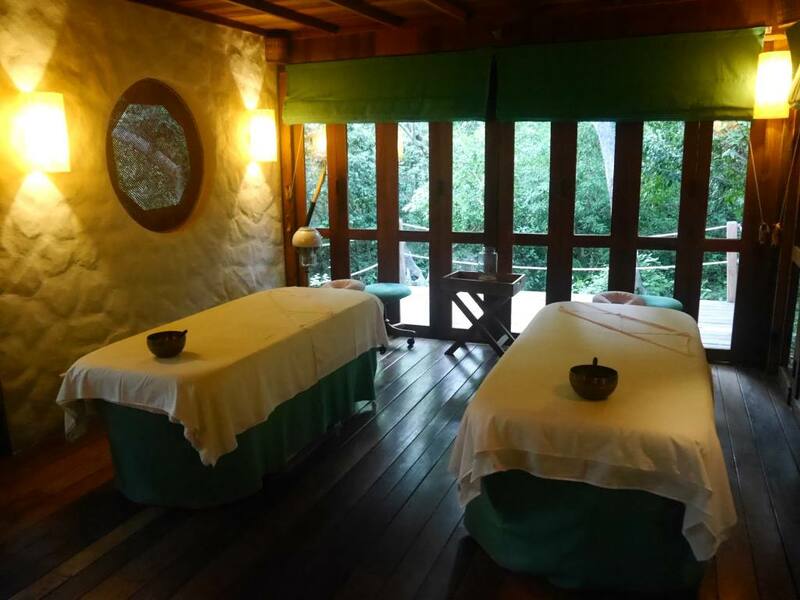 As a self-confessed Spa addict, I was only too familiar with the amazing reputation of Six Senses Spas. 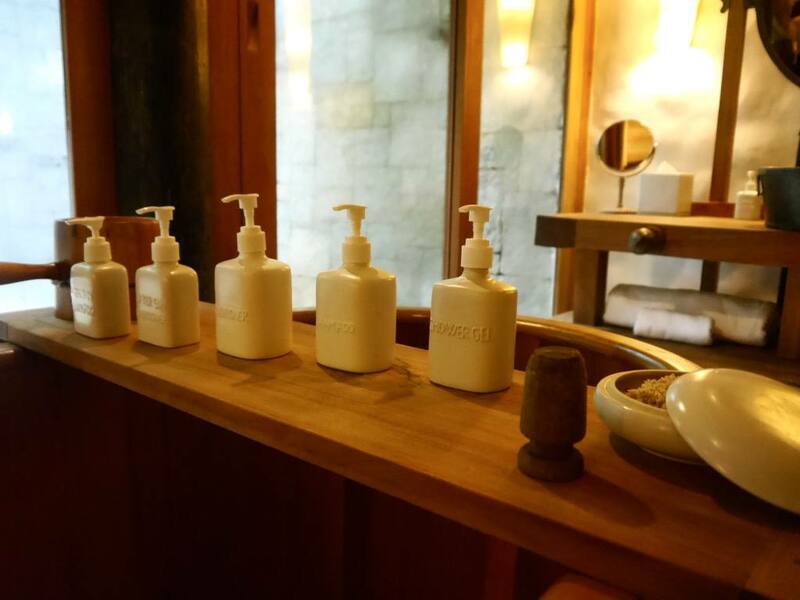 Getting to visit the Spa at Six Senses Ninh Van Bay was a real highlight of my stay, especially as it allowed me to experience something new. 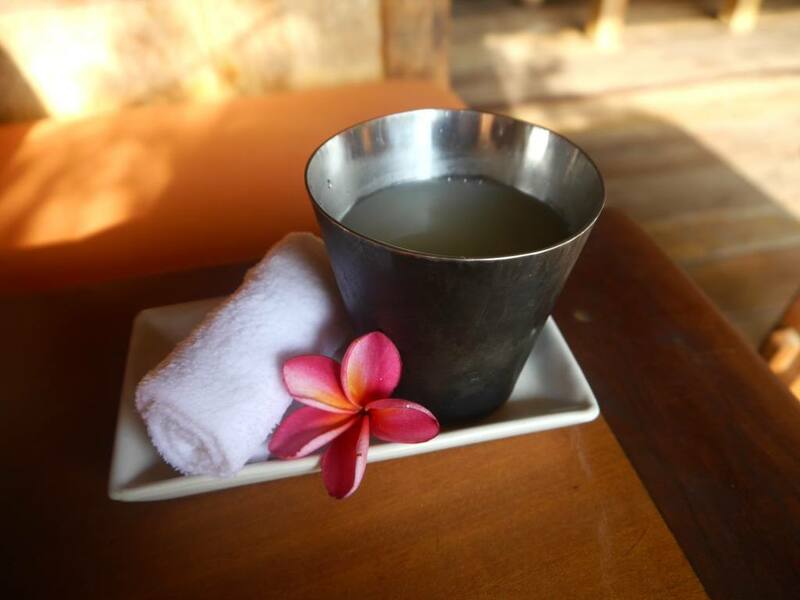 The Spa at Six Senses Ninh Van Bay is located up in the hilltops and feels like a destination in itself. 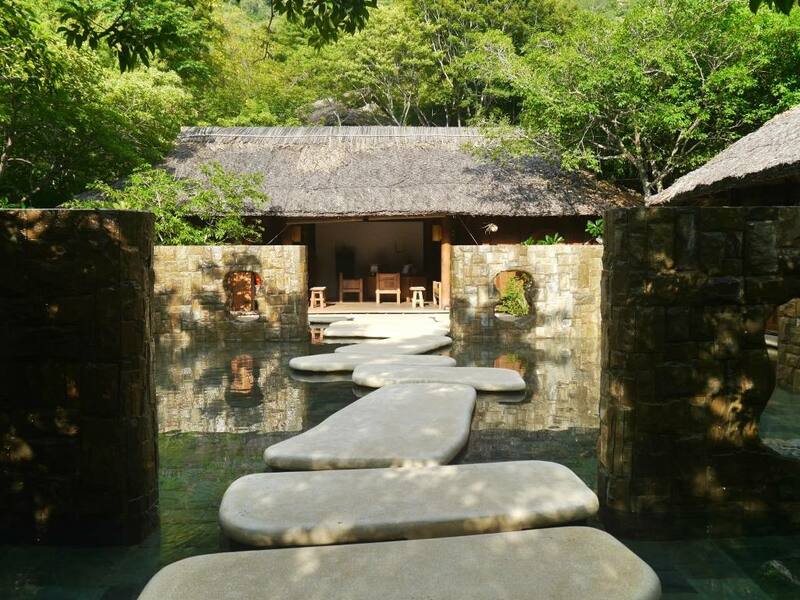 A stepping stone walkway leads to the central reception, which is surrounded by individual spa villas. My recommended treatment was the 60 minutes Vietnam Massage, which involved pressure point techniques and invigorating movements. The ‘new’ element within the massage was the heated suction cups that were used on my back throughout the massage. It was a strange, warm sensation that definitely added to the whole experience. My therapists hands were magic and the treatment felt very personalised from start to finish. On our first evening at the resort we opted to eat at Dining By The Rocks, the resort’s signature restaurant. Located high on a rocky hillside, the al fresco gourmet eatery is by far the most atmospheric and romantic place to dine. 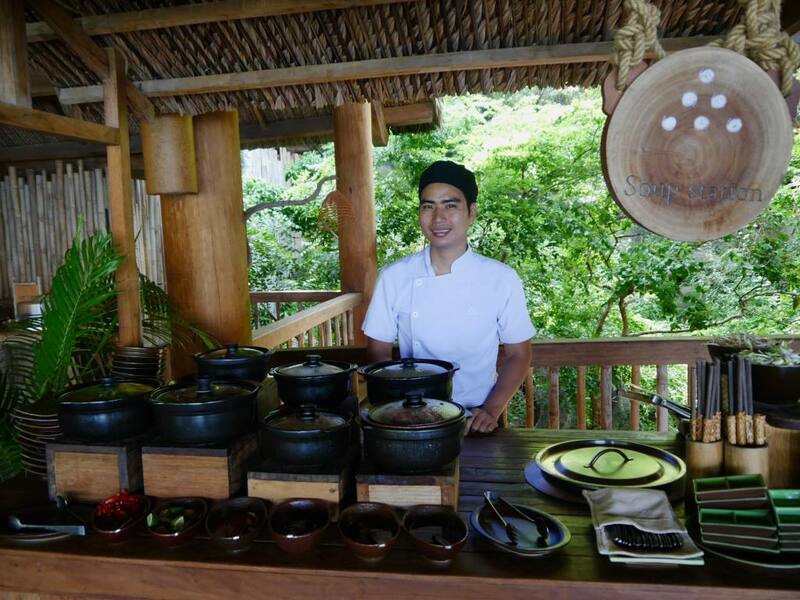 The food, service and setting is something special and definitely worth trying at least once during a stay here. 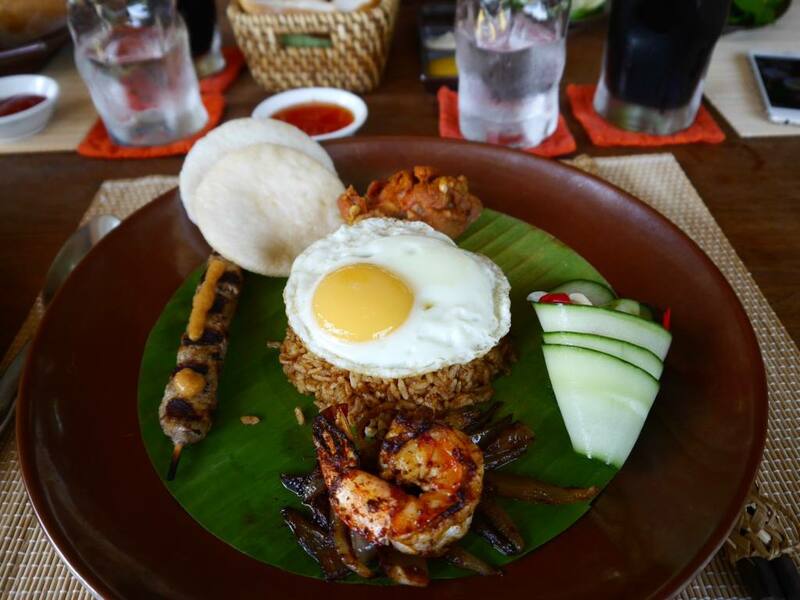 I also loved the relaxed dining ambience at Dining By The Bay, which serves a selection of gorgeous International dishes. I remember sitting down on a candlelit table in front of the calm bay. I felt a warm ocean breeze and heard crickets humming in the background. After my massage and a day the sun, it was nothing short of heavenly. 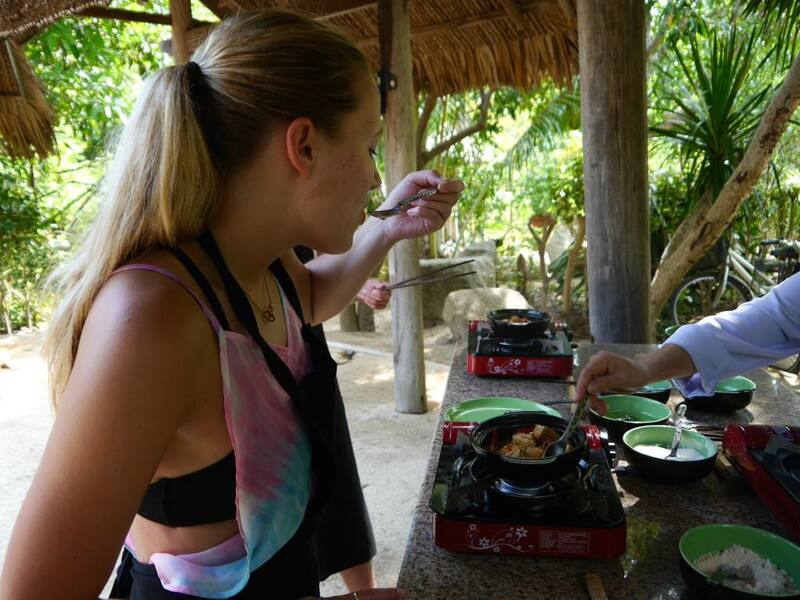 Another highlight of our stay at Six Senses Ninh Van Bay was a private Vietnamese Cookery Class. 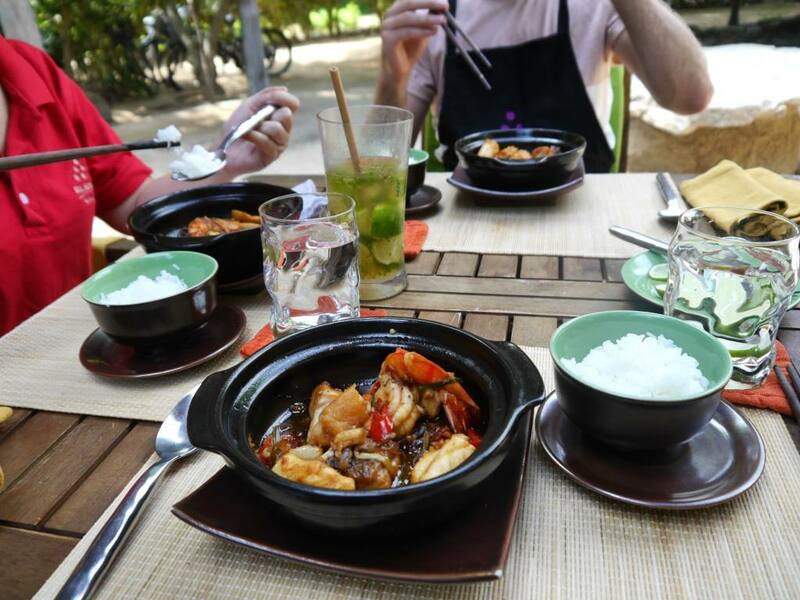 The experience started in the resort’s extensive herb garden, where the chef talked us through all of the most popular herbs in Vietnamese Cooking. We learned to cook 4 dishes in total, all of which we got to eat upon completion. Not being that domesticated myself, I was surprised at how much I loved the experience. 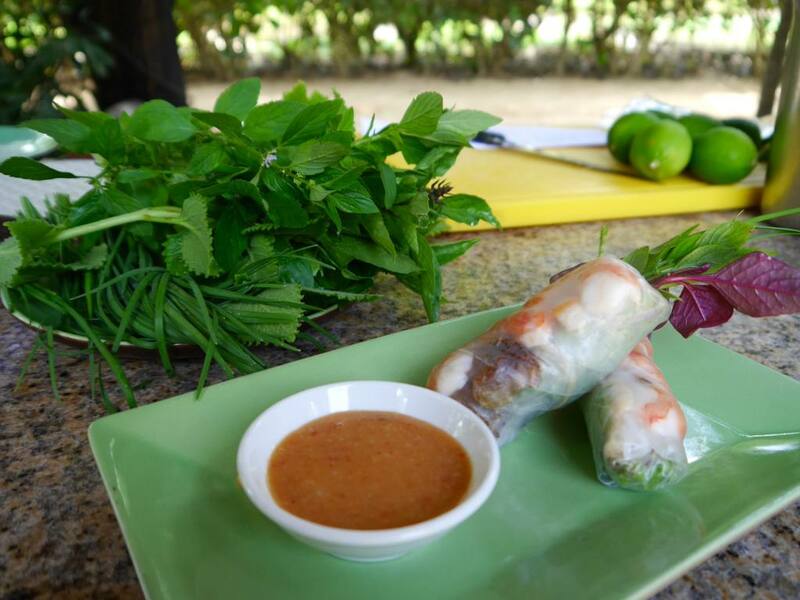 It made me realise how easy it can be to make fresh, fragrant and beautifully flavoured food, with the right ingredients and good instruction. 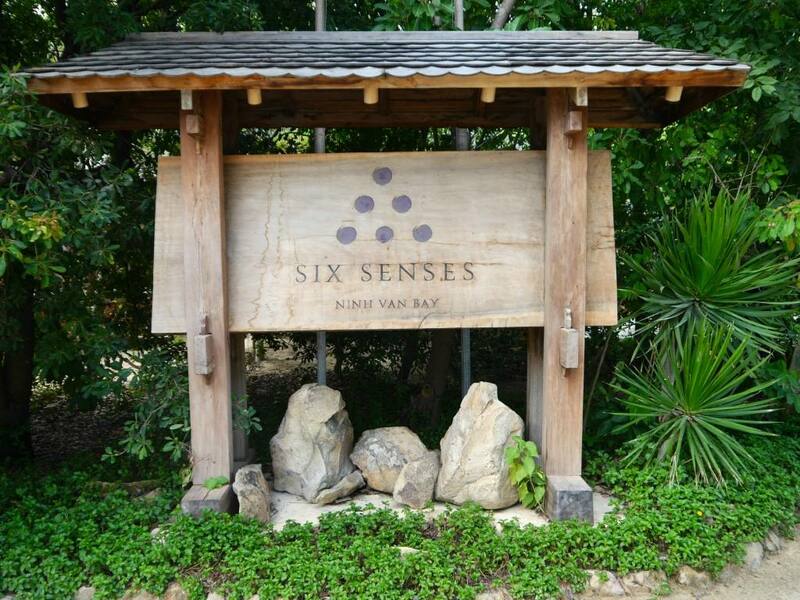 It was my first time staying at a Six Senses Resort and I am now so intrigued to discover more. From the location to the food and the staff to the incredible villa, my expectations were exceeded with every element of this hotel stay. We only got to stay here for 2 nights, so I can only imagine how relaxed, content and well rested you would feel by being here a week. Whether you’re looking for a luxurious pit stop as part of a longer trip or in need of a 2-week break in an Asian paradise, make sure Six Senses Ninh Van Bay is on the top of your list. 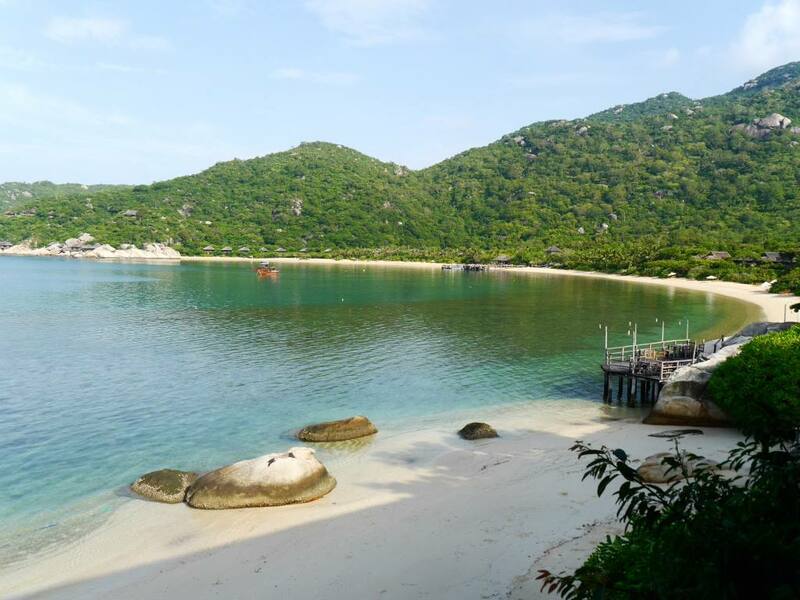 What did you think of my Six Senses Ninh Van Bay review? Have you been here yourself, or are you now inspired to go? If you enjoyed this post, please leave me a comment in the box below. Jess, this an amazing experience, you are lucky to have partnerships that give you these opportunities, well deserved,of course. I love to mix simple hotels with luxury splurges on my itineraries, too. This looks amazing! 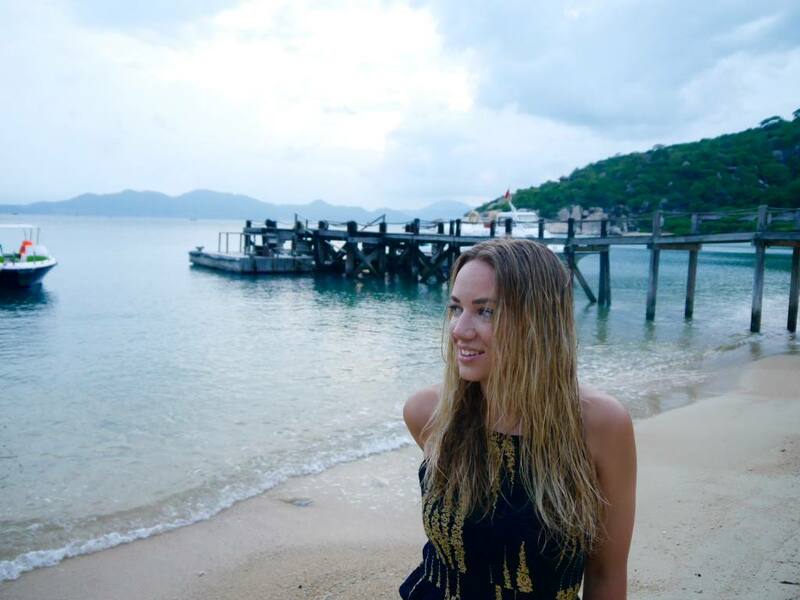 Vietnam has never really been on my travel radar if I’m honest but your posts have opened my eyes – there is so much to do and explore. I would love to try the ‘Vietnam Massage’ one day!